Everyone loves the Holiday Parties that are held in the Magic Kingdom every year, Mickey’s Not So Scary Halloween Party and Mickey’s Very Merry Christmas Party. Between September 8 and December 22, 2016, the Magic Kingdom has several parties a week in the Magic Kingdom. These are extra ticket events, your normal Disney park pass does not gain you access. Separate tickets just for the party are currently available, and run between $72 and $102 per person plus tax. You must purchase a ticket for a particular date, and tickets are non-refundable, so make sure your date is exactly what you want before paying out the cash. While hundreds of thousands of people visit the parties every year, make sure you know before you go. 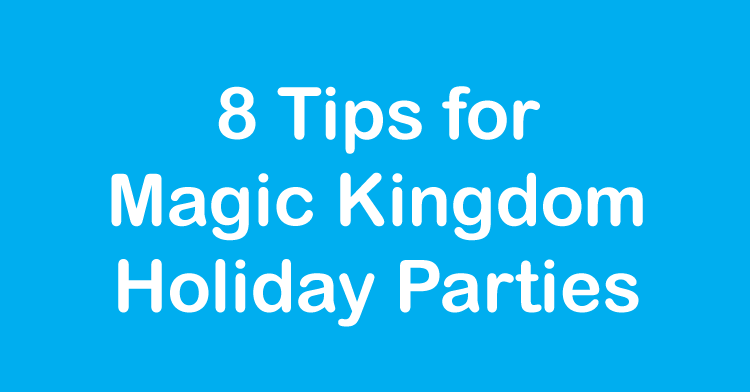 A little knowledge and planning can make your Magic Kingdom holiday parties perfect. Show up Early – While the party may not start until 7 PM, you can enter the Magic Kingdom with just your party ticket starting around 3 hours before party time. This is a great option for those who want to relax during the day, or maybe want to visit a water park or Disney Springs and not pay for a regular park pass for that day. This will give you time to catch a few rides so that during the party you will be able to do party things. Wristbands – For party goers, Disney gives you a wristband as you enter the parks in exchange for your party ticket. This gives Disney a way to easily see who is supposed to be there and how isn’t. But, what if you are already in the Magic Kingdom during the day? No one wants to head all the way back up to the front gate and wait in line to just get a wrist band. Stop by Castle Couture in Fantasyland and show your party tickets, they have wristbands there for you. Eat Early – The parties are very short. While it seems like 5 hours is a lot of time, there is way more to see and do that you can ever do in 5 hours. Showing up early helps. While it may sound awesome to dine in Cinderella’s Castle during the party, you are paying roughly $20 per hour per person to just be in the park during party time, do you really want to spend 90 minutes of your time sitting in a restaurant? Eat before you go, grabs snacks as needed to keep you going. Dress Up – While you often see people dressed up for Mickey’s Not So Scary Halloween Party, consider, even as an adult, dressing up for both parties. While you may not want to come in your Halloween costume for the Christmas Party, consider dressing up in nice clothes or your ugly Christmas sweater to make it an even more festive event. If you are going to dress up, make sure you are aware of the new rules for 2016: While costumed attire may be worn, guests ages 14 and older are strongly discouraged from wearing layered costumes or costume props that surround the entire body as they may be subject to additional security screening. Additionally, costumes may not contain any weapons that resemble or could easily be mistaken for an actual weapon. Plan Ahead – Before you go, find a guide map online, they are usually pretty easy to find once the parties start. Make sure you know what special events are going on, where and when they are, and which ones you want to go to. These parties are pretty popular, especially on weekends, much more crowded than the parks will be during the day than when you are there. You can ride Space Mountain anytime, but you can only see Mickey’s Once Upon a Christmas Time Parade once (well, twice a night). Know what special merchandise is available only during the parties. For 2015 they had special Magic Bands, t-shirts, pins and other small items. Know What is Free – During the Halloween Party, kids are able to trick or treat at quite a few places in the park, while at Christmas, some restaurants have Holiday treats for the kids, including hot chocolate and cookies. Also, watch for other items like ice cream and treats throughout the parks. Plan and Work from Front to Back – As most party visitors arrive sometime around 7 PM, and all enter the front gate, most party goers start their event going down main street and working out into the park. Start your party time away from the front entrance, where the crowds will be light. 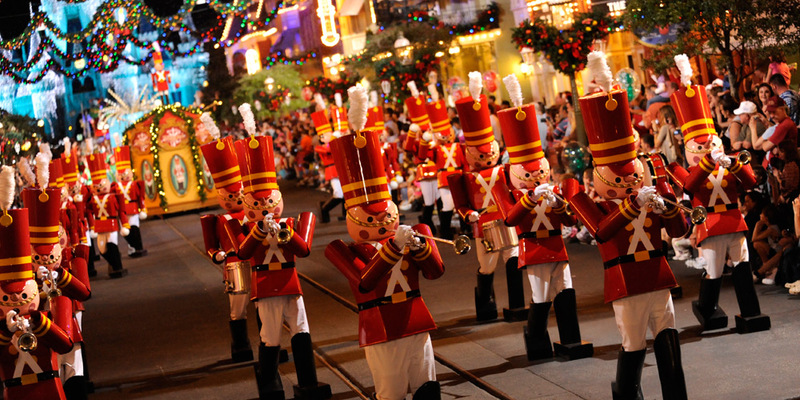 Avoid the Early Parade – Each night, there are two night time parades, Mickey’s “Boo-To-You” Halloween Parade and Mickey’s Once Upon a Christmastime Parade, usually around 8:30 PM and 10:30 PM, though I can promise you that the parades the night you will be there will not be at those time. The Halloween Parade tends to be later, the Christmas Parade is earlier. During either event, avoid the early parade, it is by far the most crowded, as it is a MUST DO, and many people go to the early one so they don’t have to worry about it later on. Don’t be like everyone else, get other stuff done while everyone is at the parade and stop by and see the last one. Whatever you do, have fun. These are fantastic events and a great way to see the Magic Kingdom like never before. You may not ride one ride, but it is something you and your family will remember for years. While we’d hoped to debut these offerings on April 22, unfortunately, they will not open as planned on that date as we give the team more time to bring these innovative experiences to life in a way we know will exceed our guests’ expectations. 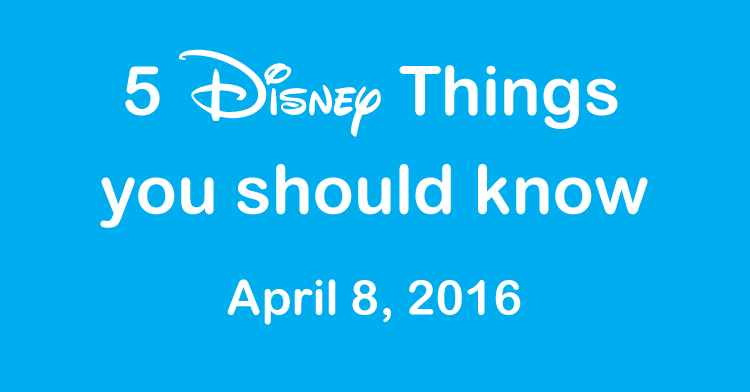 We’ll share more information about timing on the Disney Parks Blog by mid- to late May. 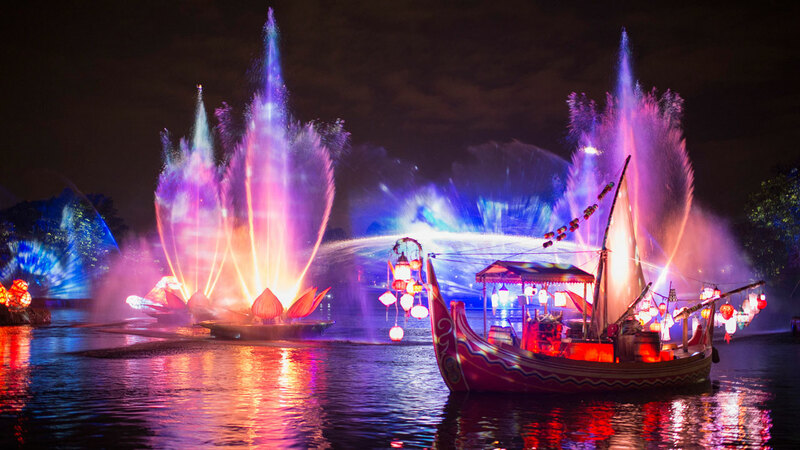 So, it does not look like we will see Rivers of Light until Summer. No indication of why the show is delayed was given. The cost for Disney Early Morning Magic – Fantasyland is $69 for adult and $59 for children, and do not include access to the Magic Kingdom, you must also have a park pass to get you into the park. 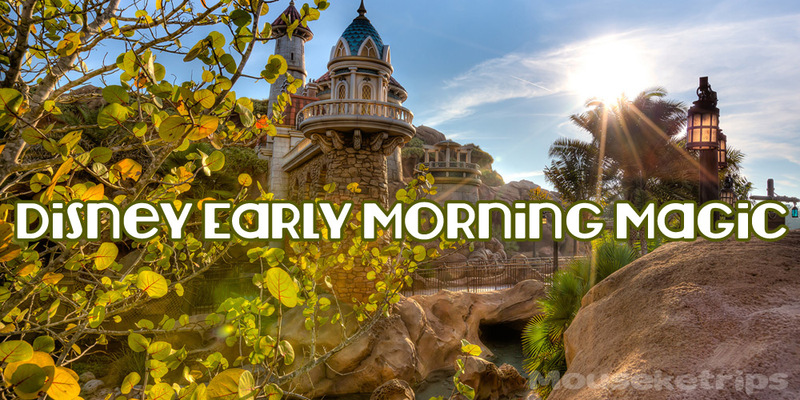 Disney Early Morning Magic is a separately ticketed event taking place on select Tuesdays and Saturdays from 7:45 AM to 10:00 AM. Reservations are available today. The annual Holiday event in the Magic Kingdom, Mickey’s Very Merry Christmas Party will take place again this year, and today, dates were announced. While tickets are not yet on sale, at least we know the dates and can start planning our Disney vacations! Tickets are not available for purchase at this time. The last few years, tickets for both Mickey’s Very Merry Christmas Party and Mickey’s Not So Scary Halloween Party have gone on sale May 1, so expect to be able to purchase tickets for 2016 sometime around May 1, 2016. Do you or your kids love animals. You may want to consider a new tour offered by Walt Disney World, the Sense of Africa Tour. Located at Disney’s Animal Kingdom Lodge, the tour features breakfast at Boma, and then you get a backstage tour of the animal care areas, including interactions with many of the Animal Kingdom animals. The cost of the Sense of Africa tour is $249 per person. I love the Boardwalk area at Walt Disney World, no better place to relax after the parks have closed. The good news is that a new ice cream parlor is opening soon on the Boardwalk, Ample Hills Creamery. Ample Hills Creamery, a Brooklyn-based company known for their creative approach to all things ice cream, will open its first location outside of New York City. 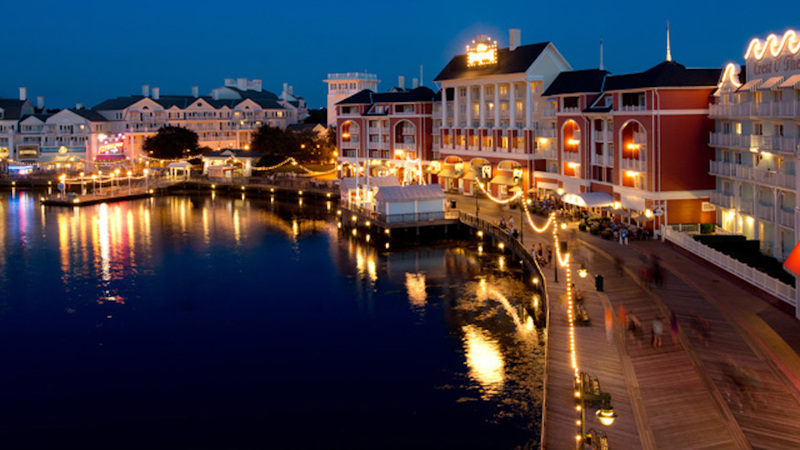 The new creamery will be located on Disney’s BoardWalk, overlooking Crescent Lake—a short walk from Epcot and a relaxing boat ride from Disney’s Hollywood Studios. Guests will be able to peek into the promenade-facing kitchen windows, where ice cream and mix-ins will be handcrafted the old-fashioned way. Inside, guests can sample as many flavors as they’d like, including signature creations like Ooey Gooey Butter Cake, Coffee Toffee Coffee, Malty Salty Pretzel Punch, Cotton Candy, and more. They’re even working on a special one-of-a-kind flavor developed exclusively for Walt Disney World Resort.